Do you like playing in the playground with your friends? 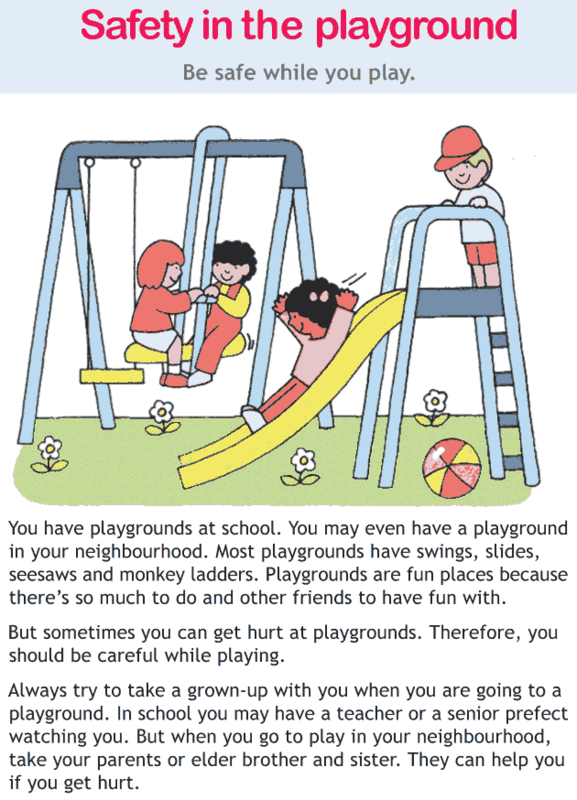 How can you be safe in the playground? Do you know the rules you should follow in the playground? This lesson is all about the measures you should follow in order to be safe while playing in the playground. Reading the lesson will also make you self-disciplined.